Seeking for funds to Expand both Estup Global Services and Easy school services which is an Educational initiative aimed at heaping parents ease to stress of paying the school fees of their wards. 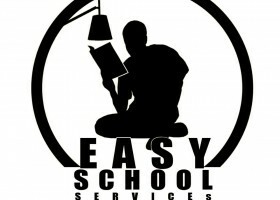 Founder Estup Global Services and Easy school Services, a small business owner, a Student and an Entrepreneur. Winner MICROSOFT PASSION TO EMPIRE and 1st Runner up Global Students Entrepreneurs Awards Nigeria 2017.and an undergraduate.